If you are looking for a fun and slightly dangerous science experiment for your class or homeschool, you've come to the right place! 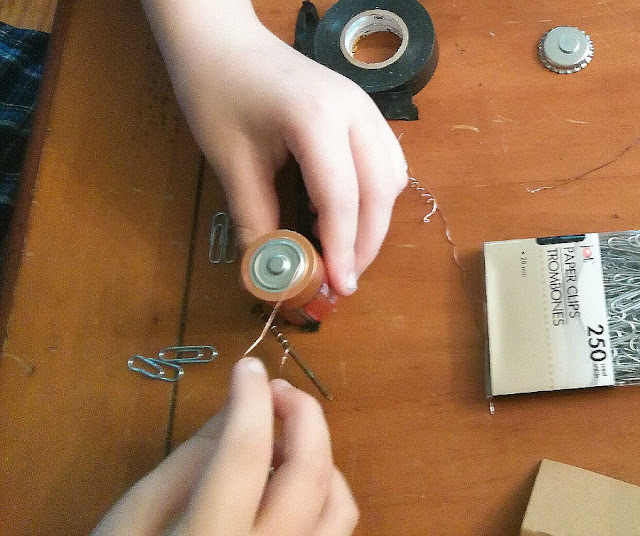 Depending on how you attempt to make a battery magnet with a wire and a nail, this solenoid science project for kids can be a lot of fun or go very wrong. Perfect, now your kids will pay attention. Enjoy! What can go wrong? You can burn down the house or burn your fingers! Okay, the former is a bit of a stretch, but if you leave the electromagnet attached for too long (which can be as little as 1 minute) it will get very hot... or not. It all depends on your batteries. This is what you are going to figure out in your scientific analysis. You'll need to apply the scientific method. Below is a Teacher Tube video on the Scientific Method for elementary students. Click the link to watch the BrainPop video on the Scientific Method. You'll also find a vocabulary builder and worksheets at BrainPop. 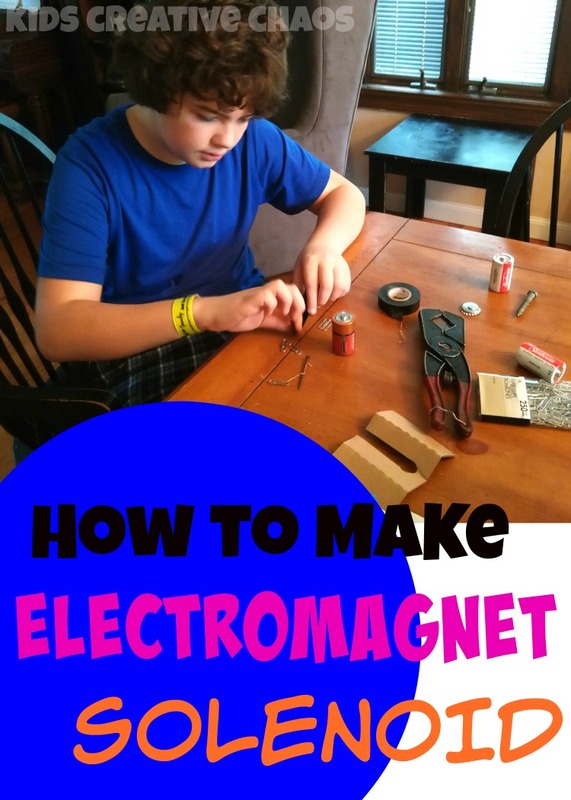 Make an electromagnet with a battery, nail, and wire. When an electric current moves through any metal object making the object act like a magnet, you've got an electromagnet. Without an electric current moving through it, the object acts like a regular metal. Before beginning, write out your hypothesis. What do you think will happen? How many paperclips will you be able to pick up with the magnet? Do not leave the wire connected for more than 30 seconds at a time. It gets hot! You will want to use an oven mitt or gloves to protect your fingers. Also, don't leave it unattended!! Wrap the wire around the nail so that it is coiled at least five times, experiment with more or less coils and track your results. Tape one end of the metal wire to the positive end of the battery with the electrical tape. Connect the other end of the wire to the negative end of the battery with the electrical tape. How many paper clips you can pick up with the solenoid? If you can't pick up any paperclips, wrap more coils around the battery, get a fresh battery, or a better brand of battery. What happened? Was your hypothesis correct? Let us know in the comments. The video on how to make an electromagnet is a different process, it uses a different size battery and different wire. 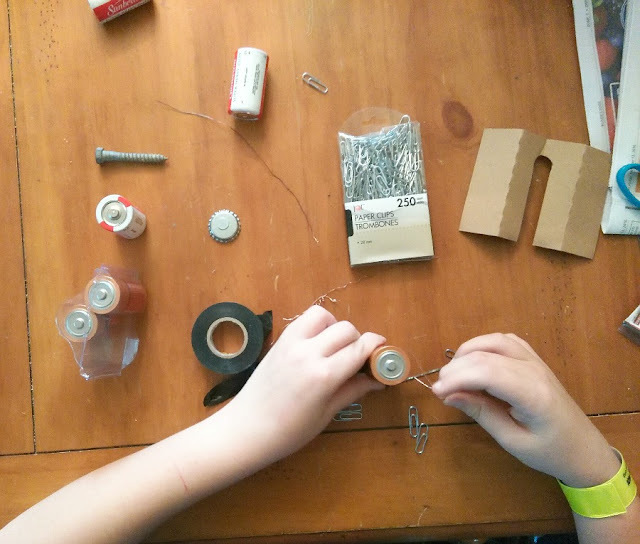 You can experiment with different size batteries, wire types, and even metal items to pick up with it. Want more fun science projects? Follow us on Pinterest and Instagram.